Marvel Legends 2-packs are back, true believers! 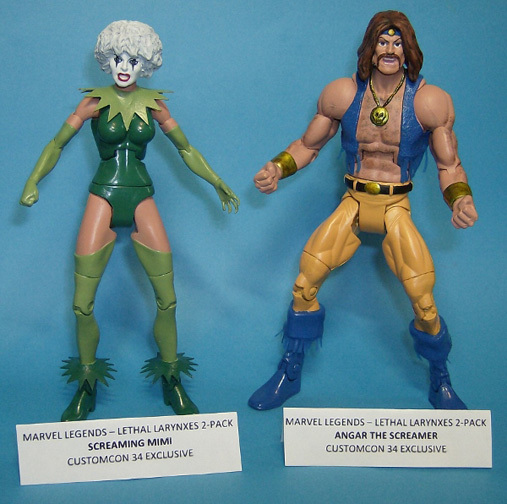 Coming this spring are two new Marvel Legends 2-packs featuring four of Marvels most infamous villains. 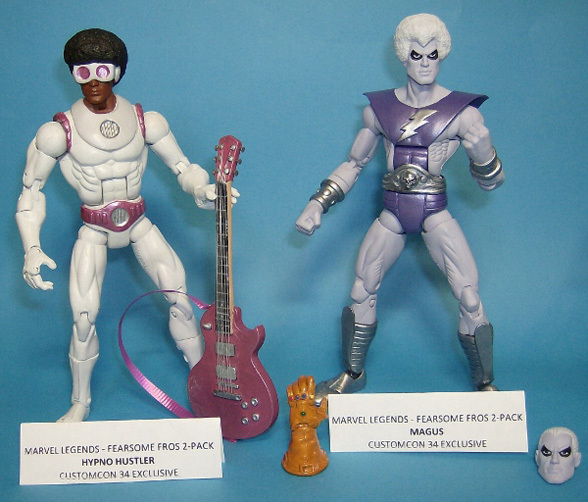 The "Fearsome Fros" 2-pack features the two greatest heads of hair in the Marvel universe: The Hypno Hustler and Magus! If you prefer your Magus figure to have less hair and more cosmic power, this figure features interchangeable heads and an infinity gauntlet. The "Lethal Larynxes" 2-pack features two of the loudest villains to ever grace the printed page: Screaming Mimi and Angar the Screamer! These 2-packs will not be sold in stores, but will be available exclusively at CustomCon 34.